A remarkable 80-year-old woman has told how volunteering at her local charity shop has given her a new lease of life. 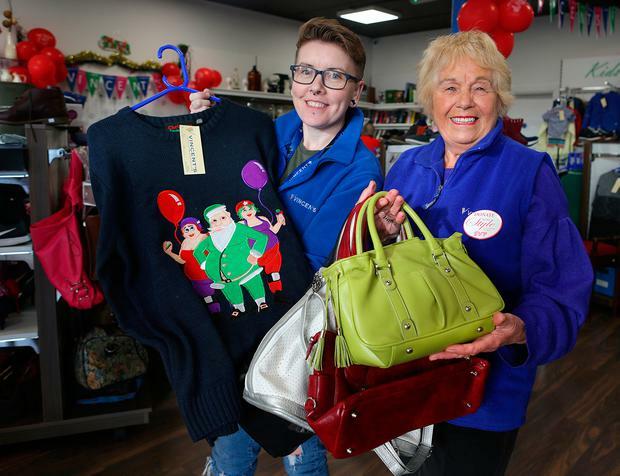 Ruth Daly started at her local St Vincent de Paul (SVP) shop in Coolock, Dublin, eight years ago after her family had grown up and she sought a way to give back to the community. For one day a week ever since, she has called in to help sort the dozens of bags of donations it receives and meet customers who stop by. "I feel it is important because of the work St Vincent de Paul is doing for the poor and the needy - really that's the most important thing," she said. "And by volunteering I'm part of that community. Most of the people that come in, I would be on a one-to-one with them now." Along with a feeling of giving back to those less fortunate in her community, Ruth said her involvement with the society has been an important tool for keeping herself active and healthy. "It means everything to me - meeting people and getting out at my age and being able to do it is great for me. "I also like to display stuff and I like being on the floor. I change all the things on the shelves and then people tell me they love my displays. "The people are all so great and we really do have a great rapport together," she adds. Ms Daly's mother worked in the market stalls on Moore Street when she was younger. She credits this for her own interest in volunteering at the SVP shop and meeting new customers. "When I was young my mother worked in Moore Street and her mother before, so when I got married, and after I had my kids, I decided I was going to do this. "I'd say I am enjoying myself, but not only that I am also enjoying the feeling I am putting something back into society because they do such great work," she adds. Ms Daly smiled as she said she was always on hand to offer her opinion for any of the customers who call in - and stressed they always get an honest answer. "People come in and they look at the clothes we have and they try them on. But I always tell them if it is nice on them," she laughed. "When they ask for my advice I always give it and I am honest." You can also call 01 8848200 or donate locally.